若各位同學在經過多年扎實的生物醫學相關訓練後, 仍然保有對科學的好奇與無止盡的求知慾望, 我向各位恭喜, 因為妳/你的骨子裡就是個科學家. 無論在甚麼時候與環境都能發光發熱的科學家. 最壞的年代,就是最好的時刻. 請各位有計畫繼續深造(無論國內或國外)的同學, 若恰巧對免疫, 甚至腸道免疫有興趣. 歡迎到我們研究室來看看. 1. 以腸道免疫學的觀點來探討, 為什麼巴金森氏症的病人, 早在神經症狀出現的前十年甚至二十年, 就已經有嚴重便祕的現象? 這一切的起源, 是不是都是因為某些特定基因變異, 導致腸子的免疫細胞在作怪, 進而促進了巴金森氏症的形成? 2. 從宿主的腸道免疫系統與代謝體學來探討, 為什麼腸道共生真菌(對, 你的腸道裡面除了共生細菌之外, 也有共生真菌, 共生病毒), 當宿主免疫能力低下時, 這些共生真菌能逃脫免疫系統的監控, 伺機導致局部發炎感染, 甚至擴散引起致死的全身性感染? 這些真菌到底做了甚麼事, 壓倒了我們的免疫系統? 是不是它們早在共生的階段, 就改變了我們的代謝, 然後影響了我們的生理反應? 如果妳/你看到這邊, 還沒有直接按讚就離開, 反而激起了妳/你的好奇心, 請繼續看下列的詳細說明, 或直接與我聯絡. 謝謝. If you are a NTU Life Science or Genome and Systems Biology major graduate student (master or doctoral) passionate about mucosal immunology, inflammation or cell biology, please email me and we can set up a time to meet. Motivation and creativity are required. For international students, please see the application information. If you are looking for a unique opportunity to join in the day-to-day work of research team, please email me with your prior experience, any relevant coursework and how much time you plan to spend in my lab. 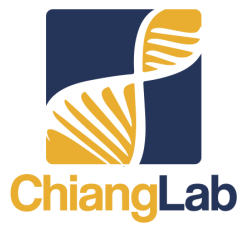 The Chiang Lab is definitely the right place to start your research with. A postdoctoral position is available to study cellular and molecular mechanisms of intestinal homeostasis. Candidates demonstrating the ability to be creative, highly motivated, work independently, multitask and with a strong background in mucosal immunology research are preferred. It is mandatory that candidates routinely use FACS/flowjo software and are familiar with mice work. Applicants with additional skills in RNAseq analysis, tissue culture, cell biology and general molecular biology and biochemical techniques are encouraged. This position is an exciting opportunity and will provide an excellent training environment to work in a dynamic, highly enriched and interactive laboratory within the vibrant research community at NTU. Applicants should hold a Ph.D. or M.D. degree. Good communication, organizationals skills, excellent team spirit and a strong work ethic are a must. The ability to work independently and to provide innovative solutions to complex problems is important. To apply for this position or for more information, please contact hschiang at ntu.edu.tw. 研究助理, 大學部專題生, 碩士生, 博士生, 博士後. 與總區生物相關系所 及 台大醫學院 與 台大醫院 緊密合作.